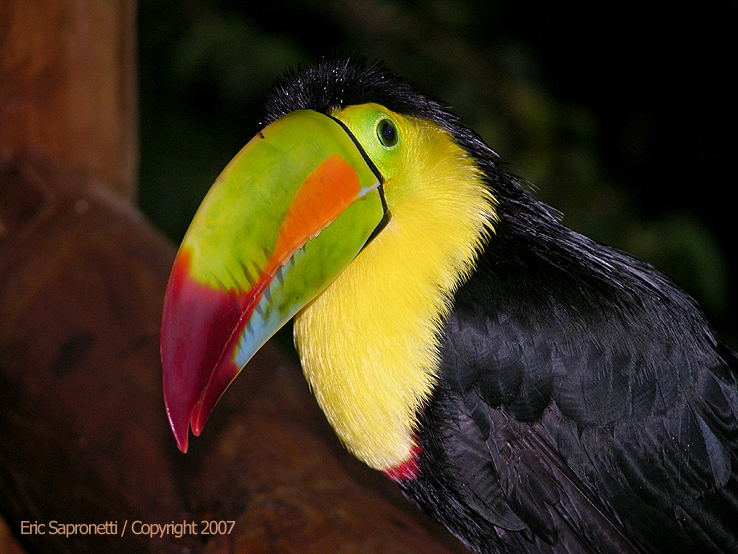 I found this toucan in a Costa Rican aviary. He was quite a friendly fellow, and had curiously knowing eyes. When he looked at you he had a sense of intelligence about him that was interesting to me. I was able to approach him to within a few inches and that is why I was able to get this intense photo-portrait.